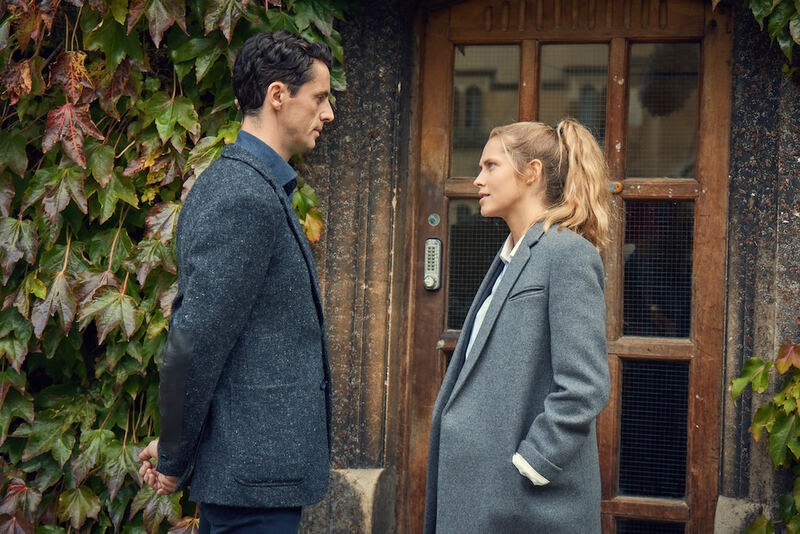 In A Discovery of Witches Season 1, Episode 2, we see that, despite warnings from their friends, both Diana and Matthew get closer, drawn by the mystery of Ashmole 782 and their mutual attraction. Meanwhile, we also meet the key antagonists of the series. Later, the vampire Domenico investigates Mattheiu’s murder and seems to know exactly what’s happening. Domenico decides to tell on Juliette to her vampire father Gerbert, and Gerbert is not pleased. Juliette is clearly still obsessed with Clairmont. The interesting thing (as Elarica Johnson mentions in this interview) is that Gerbert kidnapped Juliette from a brothel, turned her into a vampire, and groomed her for Matthew. She can’t help her craving. Yet, Juliette’s weakness leaves Gerbert open to Clairmont and his family. Gerbert punishes Juliette by locking her away in a crypt. When Matthew assumes his craving for Diana is tied to hunger for blood, he decides to visit his close friend (and daemon) Hamish Osborne in Scotland, to get out town and hunt. Hamish takes him out for a stag hunt. Matthew enjoys the chase, but he allows the stag to live to see another day. 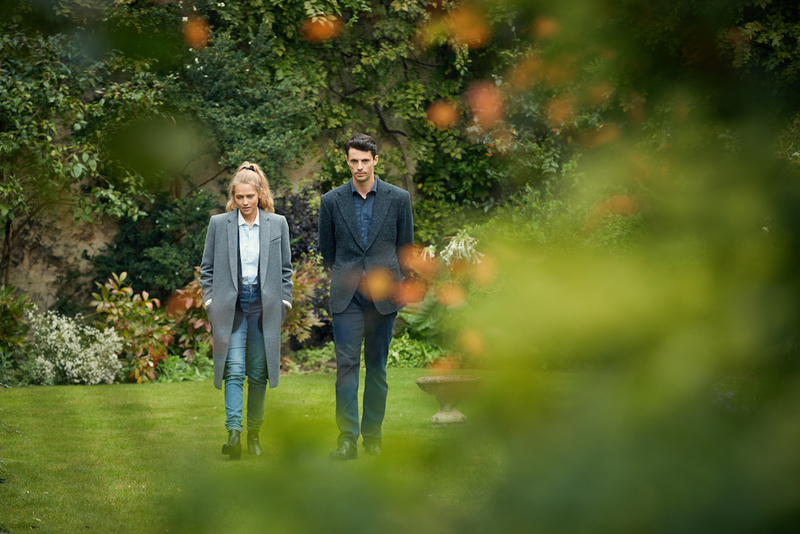 Matthew eventually confesses his craving for Diana Bishop, and Hamish advises him to stay away. But is that really an option from Diana can get the Ashmole text Matthew needs?! This is a major dilemma, especially since there’s so much danger. At least, Hamish agrees it’s important to get the book. Over chess, Hamish laments the ill treatment of daemons; however, the game prompts Matthew to realize his mistake in leaving Diana unprotected… The queen must be protected! Hamish warns Mathew again, since Matthew has a history of bringing ill tidings to the women he’s craved, Elena, Cecilia… Hamish can already tell that Diana is different than other women; Matthew would never forgive himself if he hurt her. Still, Matthew leaves for Oxford. Peter Knox: Friend? Foe? FOE! Meanwhile, Diana is still at Oxford. On this day, she wakes from strange dreams of spiders and webs, but she’s ready to get back to work. As Diana leaves for the day, she finds the jacket she left behind at the boating house in her mailbox, left by Matthew. At the Bod, Diana recognizes so many creatures, including Peter Knox and Satu (though Satur remains hidden). Knox approaches Diana and asks explicitly about about the Ashmole manuscript. He tries to assure Diana that he’s a friend, but she’s resistant. Ultimately, Knox wins her trust by telling Diana that he was a friend of her mother’s. Apparently, they’d known one another since teenhood. Over tea, Knox demands information about Ashmole 782. He shares that he believes the book holds the Witches’ first spells of creating vampires. According to Knox, if witches created vampires, they can un-create them. He sounds fanatic, and Diana wants no part. She leaves the coffee shop, and interestingly, Satu is also there. When Diana goes to Gillian, she encourages Diana to help Knox; however, Gillian doesn’t admit that she’s the one who told Knox that Diana took called Ashmole 782 in the first place. Diana just wants to live a normal, magic-free life… but Diana admits to being intrigued by Matthew. Gillian warns her away from vampires again. *SIGH* So much prejudice! Satu confronts Diana while she’s on her run and demands to know how Diana burned her hand. Satu speculates that it was the book, which it was. She suggests thy Diana’s magic is hidden, though it did attract Ashmole 782. Satu performs an incantation and determines that someone has done something to Diana… why is her magic hidden? Again, Diana says she won’t take out Ashmole 782 and leaves. Afterwards, Diana calls Emily to ask about Knox. Em shares that, apparently Knox was in love with Rebecca Bishop and didn’t want her to marry Diana’s dad. Knox then got into dark magic… Diana tells Em that Knox is in Oxford for the book, and Em warns her to be careful. The next day, Knox goes to Gillian to ask about Diana using elemental magic, and Gillian denies knowing anything of that. Knox even suggests that Diana has used her magic to get ahead in her career, which is why she’s kept it a secret. At the same time, Diana comes to see Gillian and Knox shows himself. Diana feels immense betrayal by her friend and leaves. In a moment of intense stress and confusion, Diana decides to go see Matthew, and he arrives just as she’s knocking. Diana tells him of Knox and Satu. Her nervousness spikes her adrenaline making Matthew’s cravings even more intense. Matthew tells Diana to calm, but he must recognize that she believes he’s the only person she trusts. It seems Matthew feels the same because he shows her a letter from Charles Darwin. This is what launches Matthew’s interest in how Darwin’s evolutionary theories might apply to creatures. Matthew admits to searching for Ashmole 782 since 1859. Diana, historian at her core, is fascinated by Matthew’s age, all that he’s seen everyone he’s known. Machiavelli, the fall of Carthage, more. Matthew invites Diana to his lab to see his work, and randomly offers her a jacket. Apparently, since her heart rate has dropped and her body temperature is dropping too. Marcus and Miriam arrive at the lab just as Matthew is telling Diana about creatures dying off. For example, over time, witches have been using their powers less and less, denying their power. This has lead to decreases in witches’ power over generations, at least according to the presence of genetic markers. In fact, witches may eventually become extinct. What happens when, one day there will only be one species, humans, as all the magic has seeped out of the world? As a result, Matthew encourages Diana not to be afraid of her magic. Matthew walks Diana home and she decides to tell him Ashmole 782. Diana says that the manuscript is a palimpsest, the odd smell, three missing pages, and the alchemical child. Matthew thanks Diana, kisses her wrist, then leaves.